Maternity leave can be a very delicate time for a family. Aside from the profound new challenges that come with taking care of a newborn (seriously, you’d think evolution has done a better job at making newborns more self sufficient! 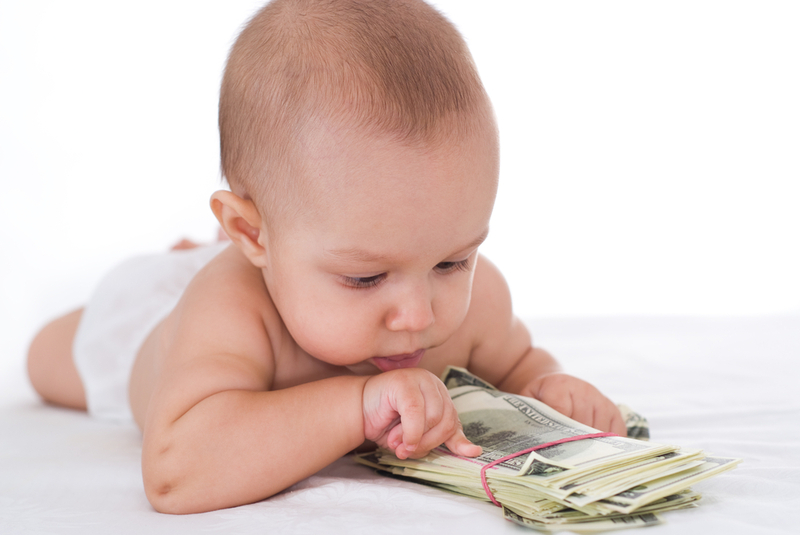 ), maternity leave can bring up financial concerns that may not have affected your family previously. In California, eligible employees are entitled to a period of paid maternity leave, but the pay is partial at about 55%. [Get the full scoop on what you’re entitled to here]. Having your salary reduced to a little less than half of what you normally bring in can be shocking and can put stress on an already stressful situation. Several months before you set off on maternity leave, do talk to your spouse/partner (or a professional financial advisor) about your financial situation so you know where you stand before the baby arrives. Once you get an accurate picture, you can work together as a family to save and cut out any unnecessary or “I won’t die without that” costs (i.e. Starbucks, downgraded or no cable). Also, keep track of the checks you’re getting from disability (SDI) and paid family leave to ensure you’re being paid the correct amounts. You obviously don’t want to be underpaid (hell no! ), but getting overpaid will create annoying issues with the Employment Development Department (EDD, the folks who pay you during maternity leave) later on. If you’ve been in this situation where you had to assess your finances before/during maternity leave, tell us about it in the comments. What did you do to reduce costs and save?